Animal rights groups seek to dictate livestock care with ballot initiatives and state legislation. They also pressure manufacturers and retailers to only purchase agricultural products, especially livestock, that are raised a certain way. As a result, processors are requiring livestock farmers to change the way animals are raised. 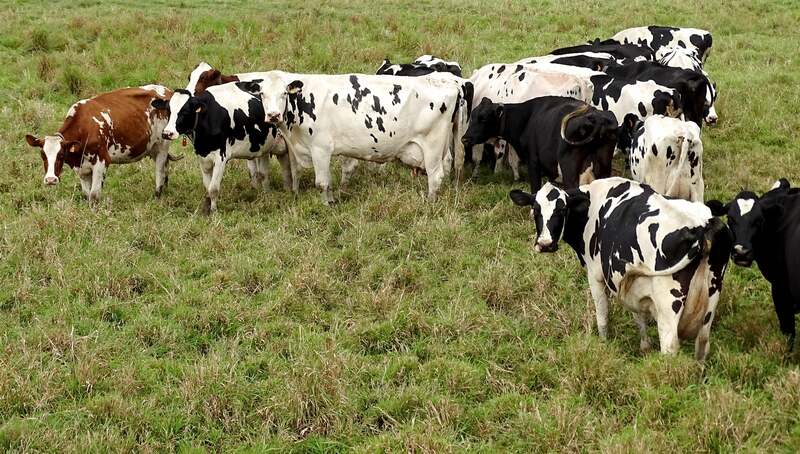 For example, the National Milk Producers Federation has announced that farmers participating in the National Dairy Farmers Assuring Responsible Management program, must eliminate tail docking by 2017. It’s not only a dairy issue, but also poultry and swine. Whether it be individual state legislation or market access requirements, housing for poultry and hogs is frequently up for debate. Farmers have varying views on these topics. What are yours? WFBF supports farmers and veterinarians deciding appropriate husbandry practices. It also supports legislation prohibiting local units of government from regulating animal care and welfare and granting this authority to Wisconsin Department of Agriculture, Trade and Consumer Protection. Should WFBF policy contain language that specifically supports or opposes tail docking? Should WFBF policy address the fact that some buyers are requiring certain animal husbandry practices in order for a farmer to sell animals to them? Do you have other suggestions regarding policy on animal husbandry? To read the full issue backgrounder, click here. I think the consumer pressure, from just so many animal lovers, is real and has to be dealt with. Instead of fighting this, I believe farmers need to embrace animal welfare practices that put agriculture in the best light. If this means more cost, then so be it. Operations that can’t handle this are likely marginal and not competitive to begin with. Consumers are getting more and more demanding while producers are struggling with a challenging farm economy. We can produce the food, but before they set their demands their checkbooks should be ready to support those same demands. Far too often people with no experience with certain issues end up creating problems for those of us that know how to deal with the issues. Tail docking of all things is a trivial issue. Do we now stop tail docking for dogs, pigs, cows, and every other animal that can have a problem in the future if not for the taking of the tail? Fine, barn fans love cat tails. Oh, sorry was that cruel? How about watching as a pack of wolves catch a steer by the tail? Or a cow that gets her tail caught in the barn cleaner? When can we get legislation to put a stop to liberals making rules that only harm consumers and not help an industry?